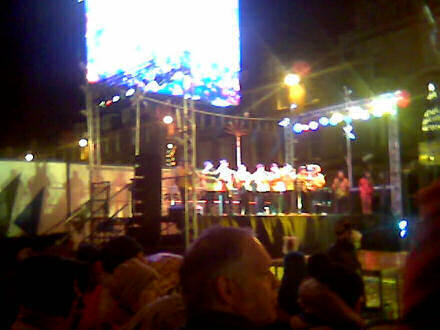 Catalan musicians playing on a temporary stage at the west end of George Street, Edinburgh. This evening Jane and I went into town with Jane’s elder sister Pauline and her husband Paul to see the Catalan-themed festivities, as part of the build-up to Edinburgh’s Hogmanay. We parked nearby and walked to the west end of George Street, where we were immediately greeted by giant figures and ordinary-sized people but with massive heids dancing to a Catalan band (photo above). 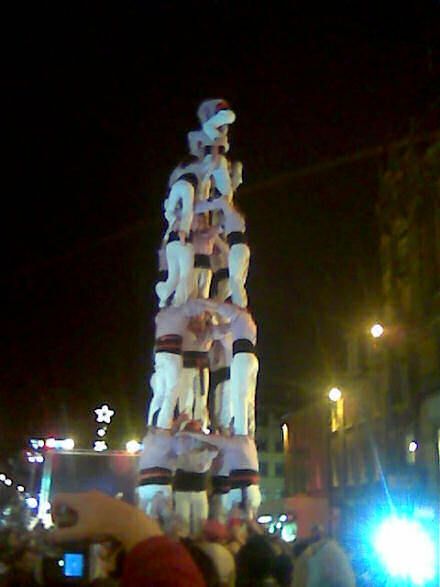 Further along George Street we stood and watched a group of Catalans building human pyramids from themselves (below). It was very impressive, and looked terribly dangerous. I suspect, however, it wasn’t so much a piece of street theatre as they’d lost one of their members and this was the easiest way to alert him to their position in the crowds. Disappointingly, having just battled our way through the crowds towards Hanover Street, we passed the Ceilidh dancing just as their World Record attempt was about to start. We’d just got out the other end when they announced that they were about to begin the record for the largest “Strip the Willow” ever. We paused long enough to decide whether to battle the crowds again to fight our way back, but decided that a drink at The Dome was a better idea. One drink later — Jane and Pauline got the last 2 chairs in the place, while Paul and I sat on the floor — we were back out, and like the Wise Men returning by another route. But not before Jane spectacularly managed to spill two drinks and smash one glass just turning around! 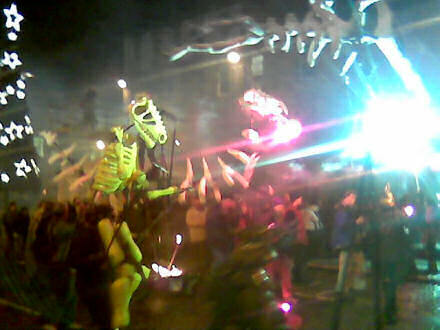 On our way back we stumbled upon some firey dinosaurs (below). Like you do! 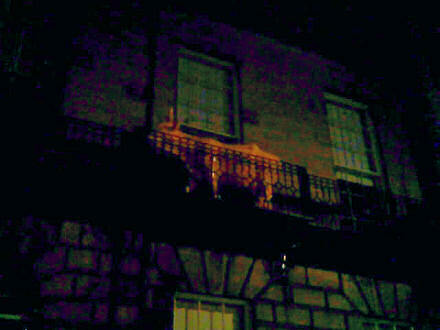 They were ‘dancing’ up George Street to some weird drum ‘n’ bass track, and some guy playing through what sounded like an oboe on steroids. 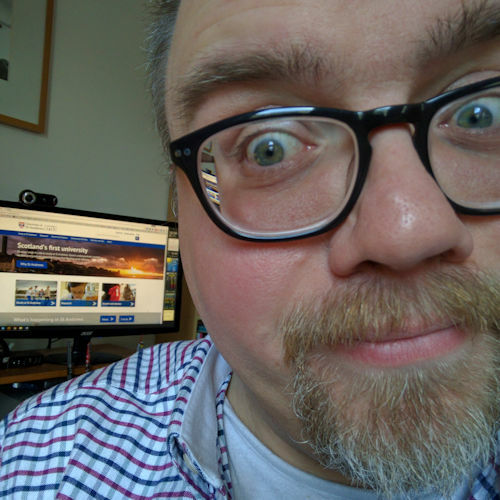 It was quite … scary, to be honest! Giants, Catalan musicians, dancers and acrobats, smashing glasses at the pub, dinosaurs and cows: the recipe for a perfect evening!